From decorating the nursery to stocking the bookshelf, there are plenty of exciting things to do in preparation for your bundle of joy. Having each item in place will make the arrival of your little one that much calmer and sweeter. To help get you ready for life with baby, several stores and companies offer discounts and baby freebies. Some places offer you samples to see if you like their products, while others provide free welcome kits if you sign up for their rewards program or build a baby registry. We scoured the web to find all of the best free baby stuff out there. From diapers and formula to books and breast pumps, our list has it all. We even created a new mom checklist so you know exactly what you need for your first year with baby. Download the new mom checklist now, or read on to learn about all the places you can get free baby stuff. When you build a baby registry or sign up for a subscription service, you’ll often receive free sample boxes that include items like shampoo, wipes and bottles. Knowing which products you — and your baby — like makes life a whole lot easier. Look through these free boxes of baby samples to decide which packages you’ll want shipped directly to your house. Reading with your child is one of the best learning experiences. When they hear stories, see pictures, and spend quality time with you, they build their language and social skills. It also helps your baby to feel loved. These free baby books and subscriptions are a great start to forming lasting bonds and a vibrant family life. Whether you’re using cloth or disposables, diapers will become a mainstay in your house for at least the next couple of years. Find free diapers through the following companies to help determine which brand you like the best. A solid supply of diapers will also make your first weeks as a parent much easier. Even if you’re planning to breastfeed, having some formula on hand can be beneficial. Sometimes women need to supplement their breastmilk in the early weeks or later on if their supply runs low. If you’re formula-feeding, you’ll definitely want to pick up some samples to determine which kind is best for your baby’s growing mind and body. Many companies offer reward programs where you can earn cash back or free baby stuff for shopping with them. From discounts on clothes to diaper deals, the savings add up — making a big difference for your growing family. Some families have even saved hundreds of dollars through these programs. While diapers and formula might be on your mind, don’t forget other important items like special keepsakes and breast pumps. The following baby freebies will give you extra goodies to enjoy once your little one arrives. Aside from free baby samples, you can score discounted items and free products through other websites, programs and local stores. Online marketplaces and second-hand shops are just a couple of places where you can find great deals. Check out the ideas below to make sure you’re all ready for your little one’s arrival. A Freebie Empire: Find family and baby freebies year round by signing up for A Freebie Empire’s newsletter. Contact companies directly: Many companies will send you free baby samples if you reach out to them asking to try one of their products. Contact your doctor: Ask your doctor or hospital for free baby samples. They often have plenty of product samples to hand out to patients. Craigslist: Locate discounted items like nursery furniture, clothing, and toys through your local Craigslist. eBay: Find great deals on everything from video monitors to high chairs on eBay. EverydayFamily: EverydayFamily maintains partnerships with top baby brands to provide new parents with special offers. Facebook Marketplace: Many parents sell their gently used items, like cribs and changing tables, at a large price break on Facebook Marketplace. Facebook Groups: Join parenting or free baby sample groups on Facebook to receive free products. Family and friends: Ask your family and friends if they have baby products, clothing or toys you can buy or borrow. Garage sales: Look for gently used items at garage sales, including nursery furniture and clothing. LetGo: Find discounted second-hand items in your area through LetGo. Libraries: Borrow free books, ebooks and movies through your local library. Mommy’s Bliss: Get discounted care items, like gripe water and cough syrup, through Mommy’s Bliss. My Kid’s Threads: Search My Kid’s Threads online consignment inventory to find great deals on designer clothing and accessories. Reddit: Reddit’s r/freebies forum lists out tons of places to get free stuff. Simply search the forum for baby-specific queries. You can also check out r/babybumps, which sometimes has information on how to get free baby stuff for expecting mothers. Second-hand stores: Many communities have second-hand stores, where you can find gently used items like baby carriers, clothing and sleep sacks. The Swoondle Society: Trade in items you’ve outgrown or don’t need for free or discounted items available through The Swoodle Society. 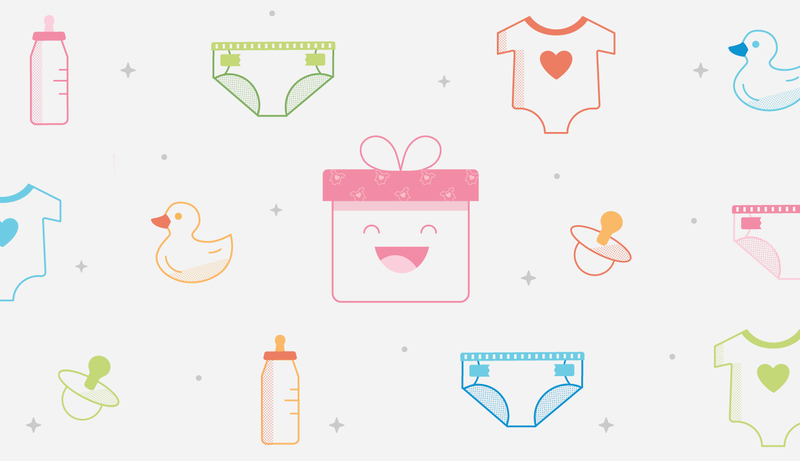 Wikibuy: When you join , you’ll get access to featured offers and coupon codes and get notified of the best prices on baby items. As a new mom, it can be hard to know which items you actually need and which ones you can do without. Between you and baby, there are dozens of must-have products that may even become lifesavers. That’s why we put together a comprehensive list of the essential items you’ll need for your baby’s first year. From bottles and clothes to bath toys and books, we’ve covered it all in our new mom checklist.